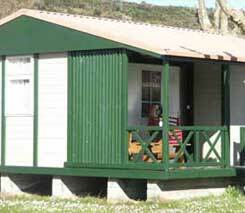 The campsite also offers beautiful bungalows with a capacity of 7 people. 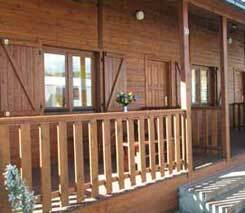 They all have a fully equiped kitchen with refrigerator and microwave, a bathroom with a shower and toilet, dining room with television and a furnished terrace. Bed clothes and towels are provided. Animals are not allowed in the bungalows. This is just the perfect place to spend with your family and friends! 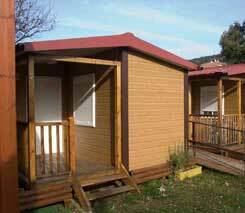 Check out some of the images of the different bungalows we have to offer you!